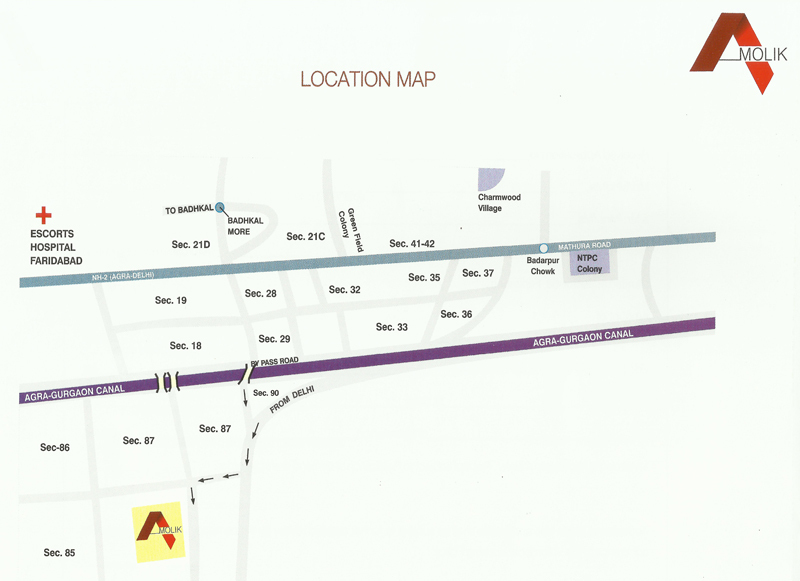 Amolik Heights is a high-rise middel segment affordable housing residential project in sector 88, Greater Faridabad. The project spreads across 4 acres of land while entire project possesses around 624 units. 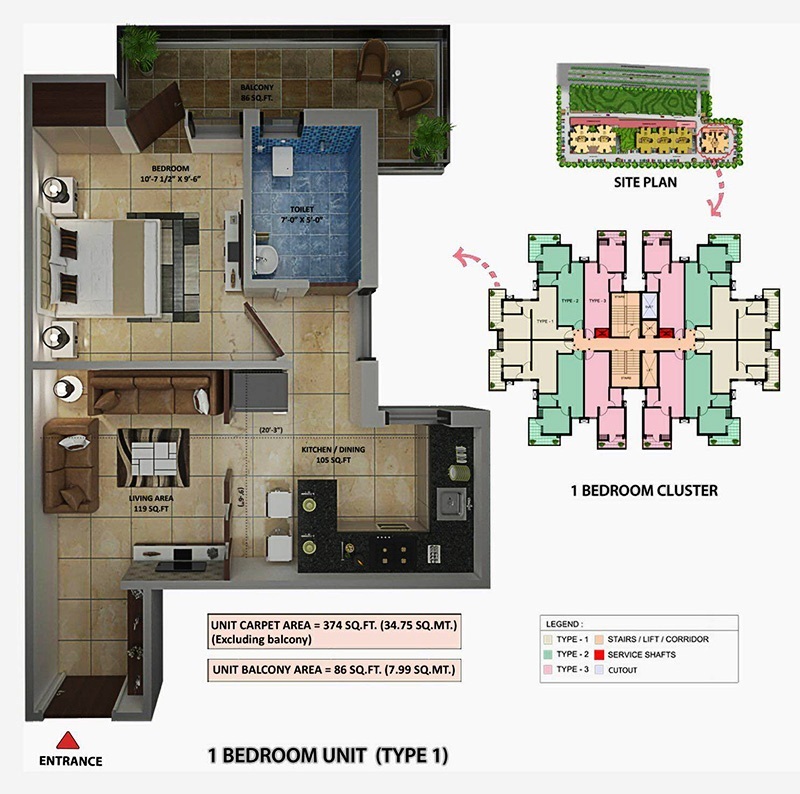 The apartment forms and area sizes range from 1 Bhk (Type 1), 1 Bhk (Type 2), 2 Bhk (Type 1), 2 Bhk (Type 2), 3 Bhk (Type 1) and 3 Bhk (Type 1) in 3 different area sizes, 1 BHK 2 Bhk and 3 Bhk. 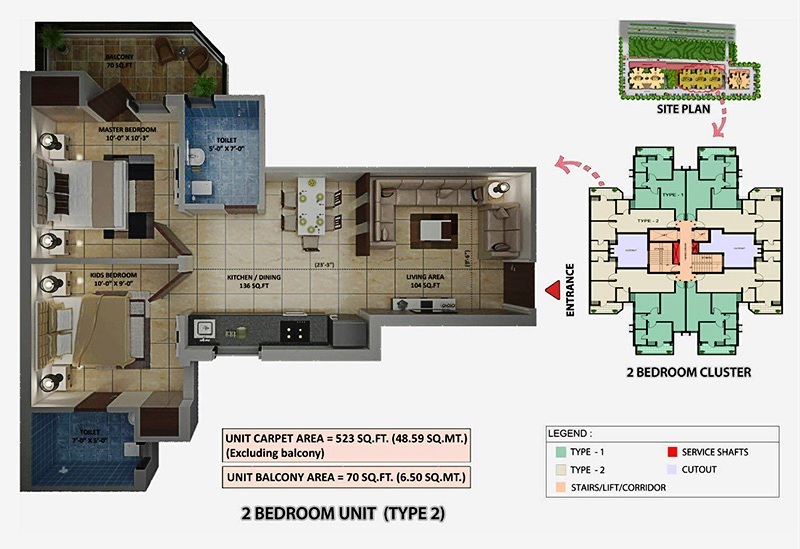 The area sizes range from 454 sq.ft., 460 sq.ft, 587 sq.ft, 593 sq.ft745 sq. ft., and 745 sq.ft area. Some of these include a Community Hall spread over 2000 sq ft area, Creche facility over 2000 sq ft, free parking space and non EDC and IDC charges. There is also a provision for free of cost maintenance for the next 5 years after completion of project. Amolik Heights is featured with various modern-day amenities such as health parks, yoga jogging track, play area for kids, sporting centers, integrated car parking, health parks, gymnasium, meditation hall, and many more. More, you will have exclusive features such as play area for kids. When it comes to location benefits, you will be having enormous benefits around you. 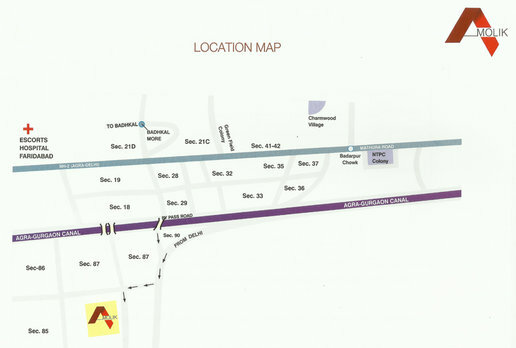 The project is located on main khedi road. You will be having prominent educational and health institutes. There are prominent universities like lingaya’s college and dental college. Apart from these facilities, you will be having renowned hospitals, shopping complexes and reputed schools etc. The project is featured with prosperous greenery all over. That will be really beneficial for a healthy and prosperous life-style. 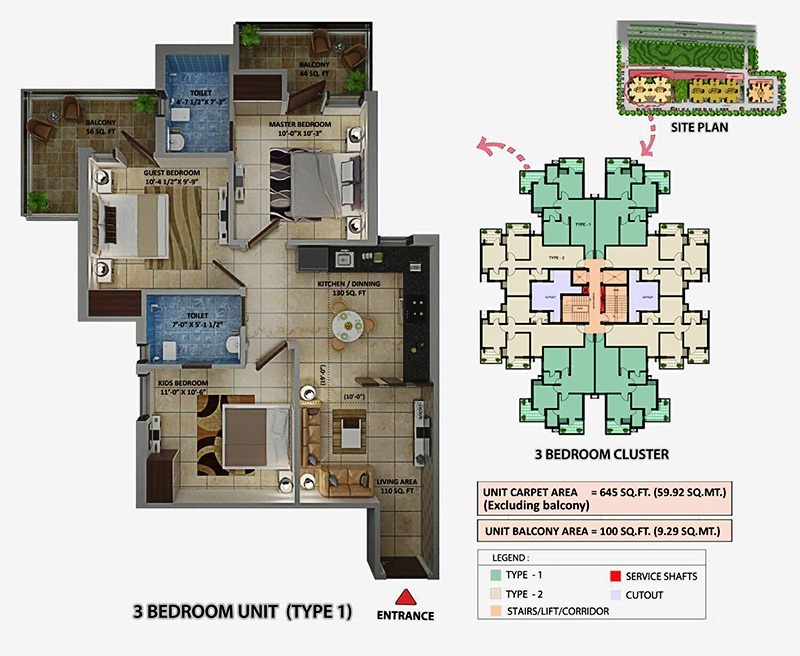 More, you will be having all such facilities within affordable price segment. 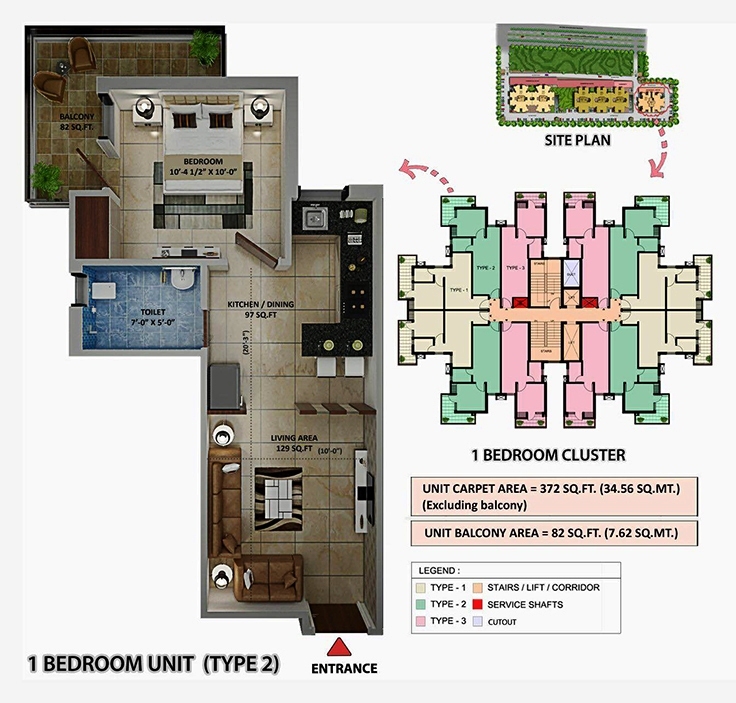 If you are planning to invest someplace from where you can get best location benefits within affordable price segment then you must come to Greater Faridabad because this is the only place which is available at quite reasonable pricing because this place was developed quite later in comparison with other big cities of NCR like Delhi, Gurgaon and Noida. 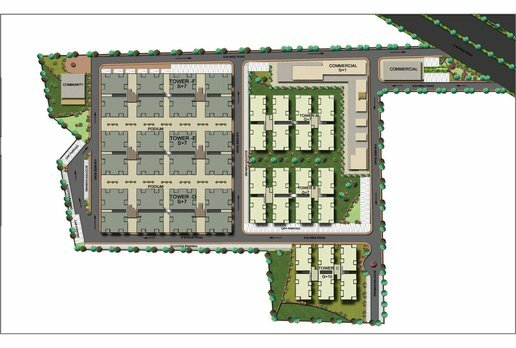 Most importantly, the place is adjourned with South Delhi which is a posh area of Delhi however there is a big difference in price segment because this area was developed quite later from other adjourned big cities. Most of the renowned developers and investors found this place really beneficial for residential and investment purpose both. 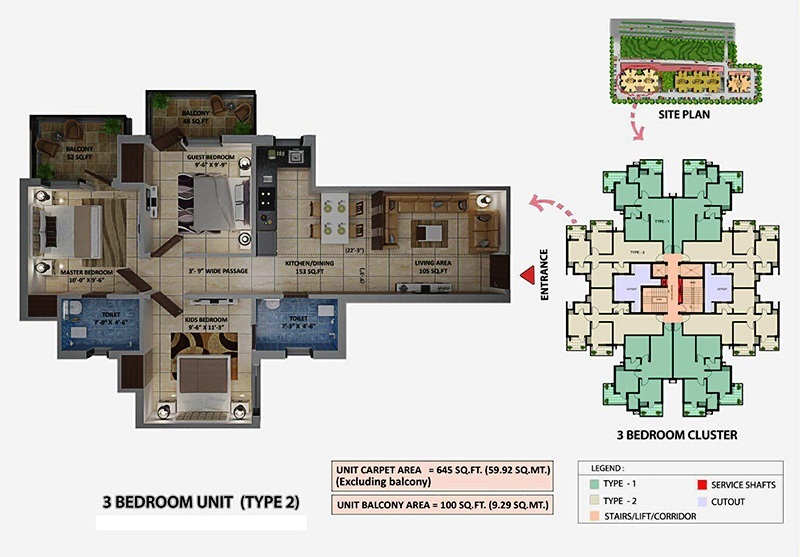 They have come up with numerous renowned residential projects that have been built-up in group housing societies. 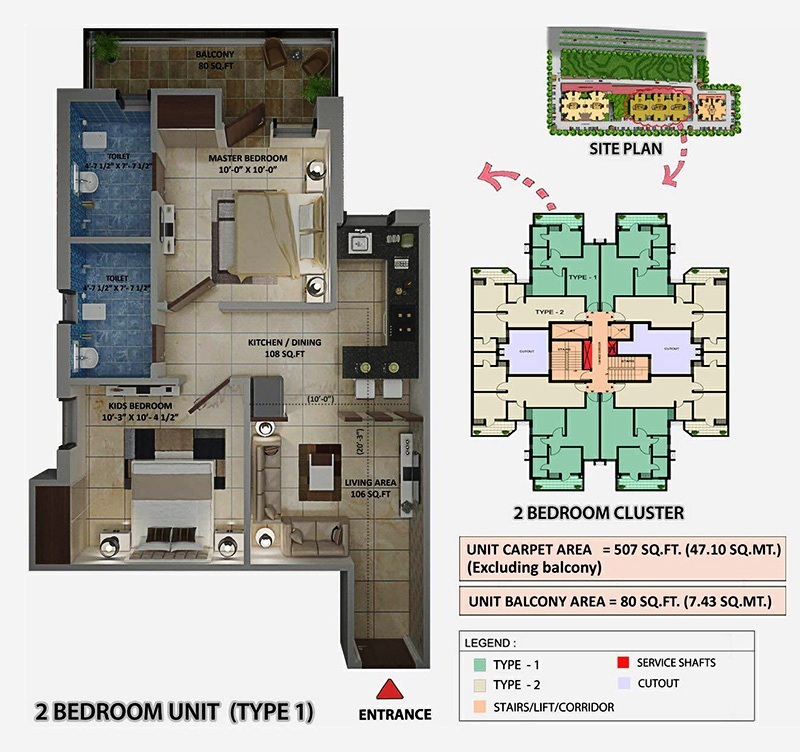 Super Area 454 Sq.Ft. 460 Sq.Ft. 587 Sq.Ft. 593 Sq.Ft. 745 Sq.Ft. 745 Sq.Ft. Copyright © 2017 www.amolikheights.in All rights reserved.